Yes! You read correctly! It can target all of those goals! 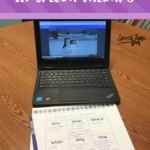 Keep reading to learn more about this 2-in-1 activity! 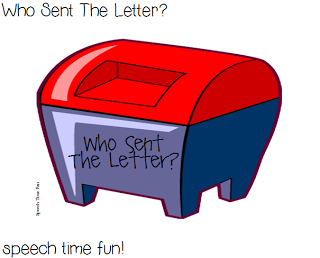 -Mailbox for visual/putting letters in the mail. 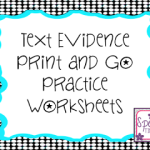 You can glue this page onto a file folder or a large envelope and cut a hole. 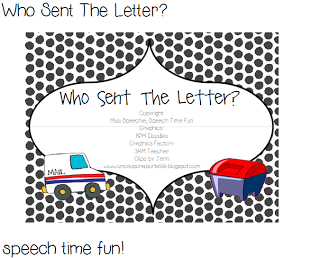 You can have students “mail their letters” after they respond or do the required tasks. 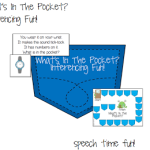 Can use to practice prepositions as well. 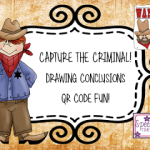 -Community Helper Pictures and Clues: Print a copy of the community helper pictures. 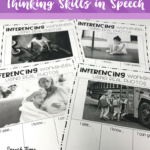 These will help students retrieve the answers to the clues if they can not think of them independently. 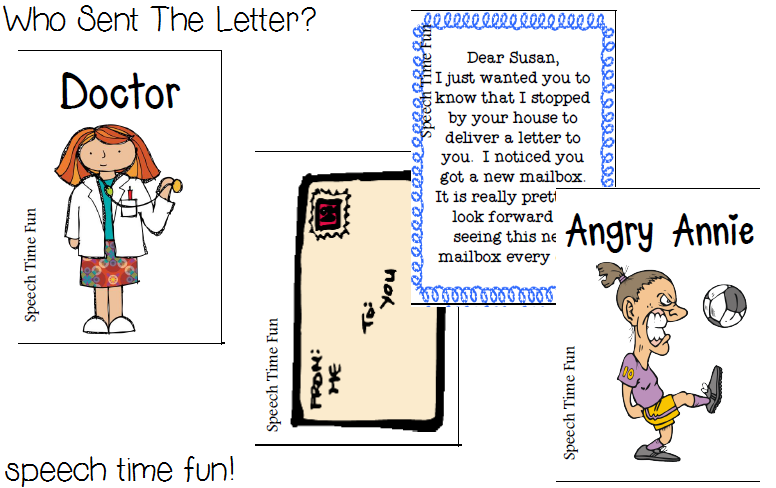 Glue the clues on the other side of the “envelope” page. Read the clues. 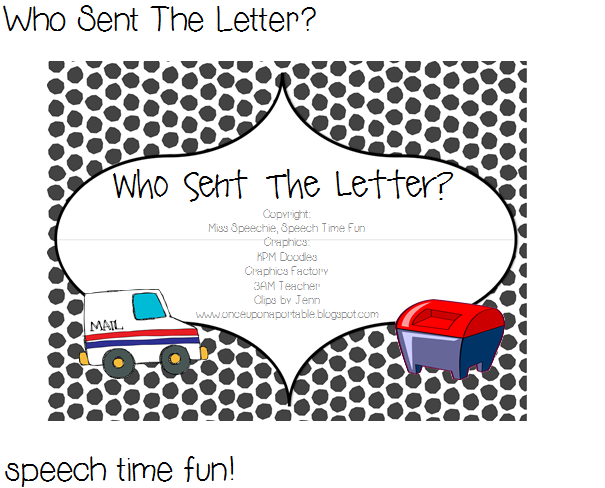 Have students pick the community helper that sent the letter based on the clues provided. 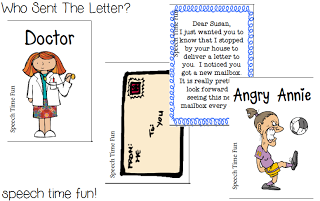 -Character Traits Pictures and Clues: Print a copy of the “characters” page. 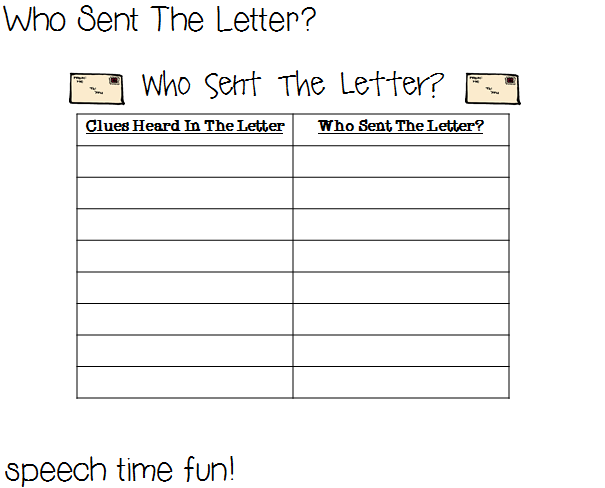 These will be the answers for your students to listen for. 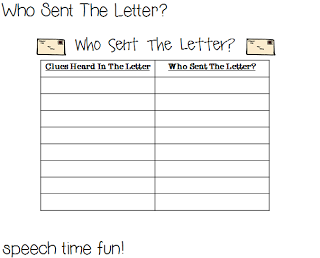 Glue the clues onto the other side of the “envelope” page. Read the clues to your students. 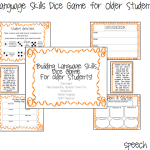 Have your students select the appropriate character based on the description provided. 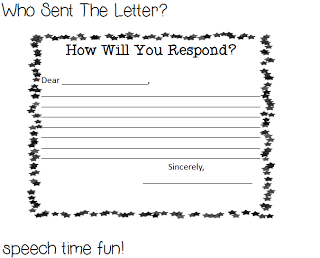 -Follow-up writing activity: Students will have an opportunity to write back to one of the letters written. 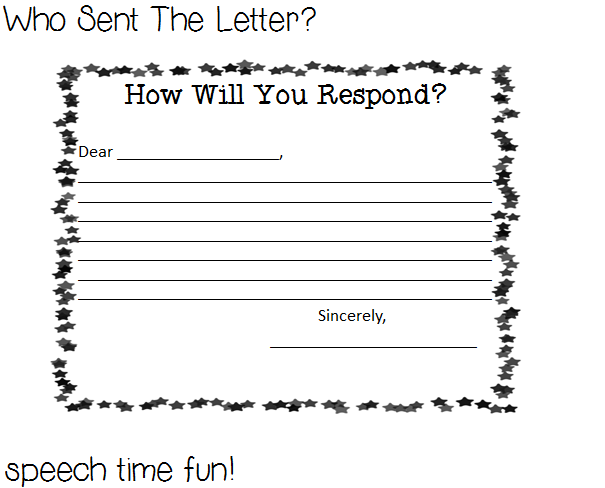 Encourage your students to use the clues from the letter in their responses.